Unique amongst its peers, Otodata’s communication infrastructure has been designed and developed from the ground up with wireless data communication in mind. For security reasons and for clients outside Otodata’s coverage area we offer both Hybrid and Cellular products. Otodata uses CAT-M, the latest cellular technology. Designed for telemetry, CAT-M maximizes battery life, offers increased range, and lowers costs. Ensuring that Otodata’s equipment does not fall victim to sunsets, our infrastructure communicates in S.P.R.S. (Secure Packet Radio Service), our own communication protocol. S.P.R.S. guarantees long-term flexibility and product life-cycles – thus eliminating technological obsolescence. Benefit from a solution designed to last. Contact us and learn more about Otodata’s infrastructure. 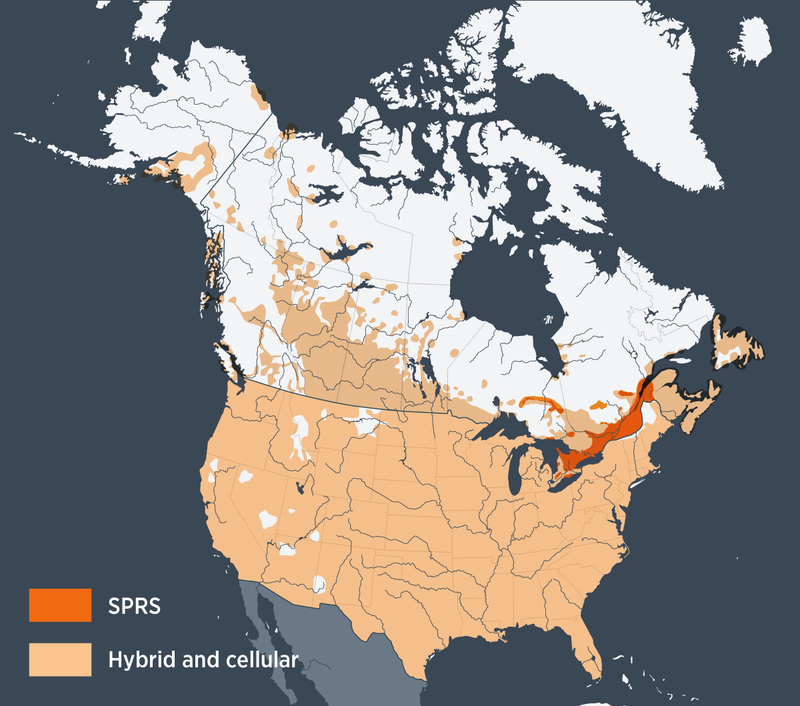 The Otodata Network reaches 95% of the population of Quebec and Ontario and communicates through our own protocol language, SPRS. Consult our Quebec & Ontario Coverage Map here. Come meet us to learn more on our IoT network and our revolutionary connected products!